My husband and I recently had a disagreement. It is the same one that has come up ever so often for the last 20 years of our marriage. I know men and women communicate differently. Afterall, I do have three degrees in communication. He knows biblical precepts that help foster good communication. Afterall, he is more biblically literate than the average Christian, has one degree in communication and two in divinity. And, yet with all that formal education between us, we can’t seem to resolve this particular issue. On the surface, it seems like a really simple issue: I ask a lot of questions. After a while, he gets annoyed by them. I know this is a matter of men and women’s communication style. I have never been told by another woman that I ask too many questions. However, I can think of several men with whom I’ve worked who have said the same thing, more or less, my husband has said: My questions make them feel like they are being interrogated on a witness stand. My husband has found a few strategies to avoid my “interrogation.” For instance, if he ever took one of our daughters to the doctor because she was sick, he would call me and put me on the speaker while the doctor was giving her diagnosis and course of action for healing. Why? Because would not have to worry about me asking him something that he didn’t ask. Ultimately, he wouldn’t have to recount the doctor’s diagnoses in the detail that I would want, but he never seemed to be able to do. I really did want a “and then, and then and then she said” play by play. I just didn’t want to miss anything. For him, he gave me the headline of the visit–”She has X. The doctor said do Y. She is going to be fine”– and felt that should be enough. From listening to him, I have learned that my questions make him feel I am undermining his judgment. That is ironic to me because I totally trust him to make sound decisions. For all the decisions that have counted for the last 20 years, I think he has made good ones. For me, asking questions is simply my way of processing information. It is just how my brain works. 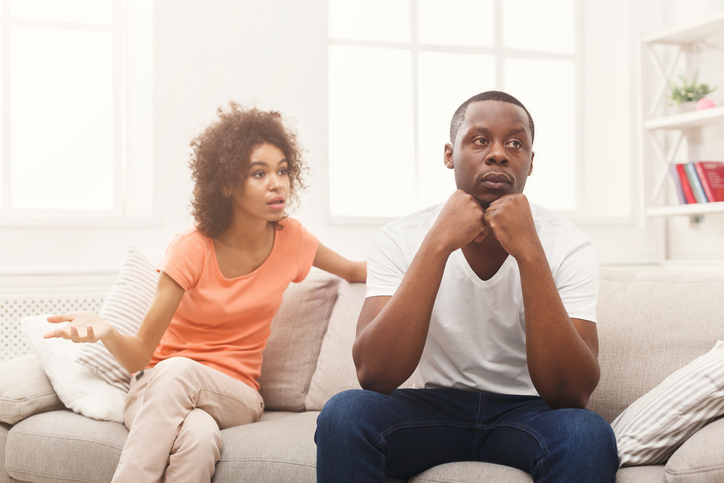 So, what is a person to do when the communication style innate to you is annoying your spouse? To be honest, if I had the answer, we could have stopped this conflict 19 years ago. However, I think these three strategies can help de-escalate the conflict. 1. Hear what your communication partner is saying. Even though my intent is not to undermine my husband’s judgment, I have to hear him when he says that is exactly how it makes him feel. For him, I want him to hear and believe my way of processing information is really not an attack against him. 2. Develop some self-awareness. Yes! I process new information by asking questions. Yes! That is how my brain works. I also acknowledge my Missouri roots are a part of my personality. I tend to have a “Show-Me-State” approach to all things. While that trait is an asset in multiple context and has served me well, it can come off as harsh and offensive in some interpersonal relationships. For me, I can pause and consider if this one question needs to be asked? Right now? In this way? Or, can I let this go? 3. Accept who your partner is; give grace. We are all flawed. We all have personality characteristics that can annoy each other. But, instead of focusing on the flaws, we can focus on the big picture and the value each person brings to the relationship. These are three simple solutions to deal with this communication conflict. I can find both communication theories and biblical principles to support them. As simple as they are and as much as they make good sense, they are hard to remember and enact when you are in the moment of discussion. While my husband and I have not mastered these, I will say this issue comes up far less now than in the beginning of our marriage. So, I guess we are doing something right.